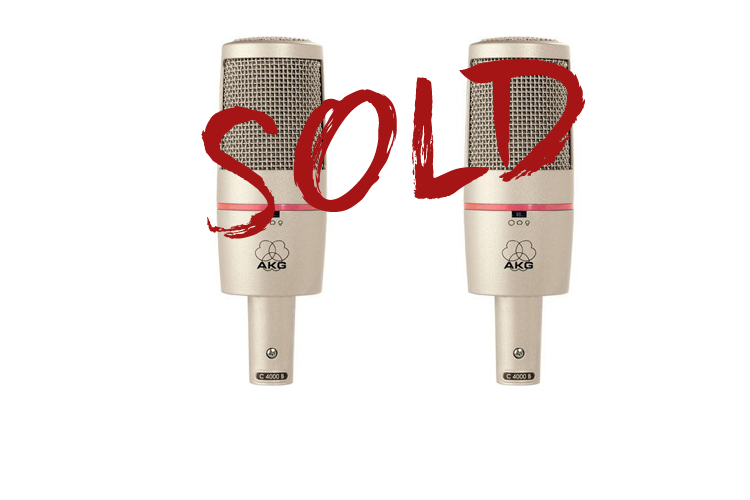 The AKG C 4000B is versatile as it is affordable. The C 4000B studio condenser microphone is designed for vocal and instrument recording in both, professional and project studios. The microphone features the industries first 1 inch (25mm) dual diaphragm assembly. The microphones low-noise floor is an impressive 8dBa, with a reference value of 0.5% THD at a level of 145dB. In addition the C 4000B offers an equally impressive dynamic range of 137dB. All this provides high headroom, low distortion and noise specifications that rival microphones at higher price points. A cardioid, hyper-cardioid and omni-directional switch is provided and gives the C 4000B its versatility. Switchable polar patterns allow the microphone to be used for various situations. A switchable 10dB pad extends the operating range, allowing the mic to be used with excessively loud instruments as well as vocals.